Image above: Going to the well!! Fighting over water in the future. Despite the amount of water that makes up our ‘Blue Planet’, water scarcity is one of the biggest problems facing our Earth. Water is an essential resource for life and good health. A lack of water to meet daily needs is a reality today for one in three people around the world. Globally, the problem is getting worse as cities and populations grow, and the needs for water increase in agriculture, industry and households. The health consequences of water scarcity, its impact on daily life and how it could impede international development should urge everyone to be part of efforts to conserve and protect the resource. 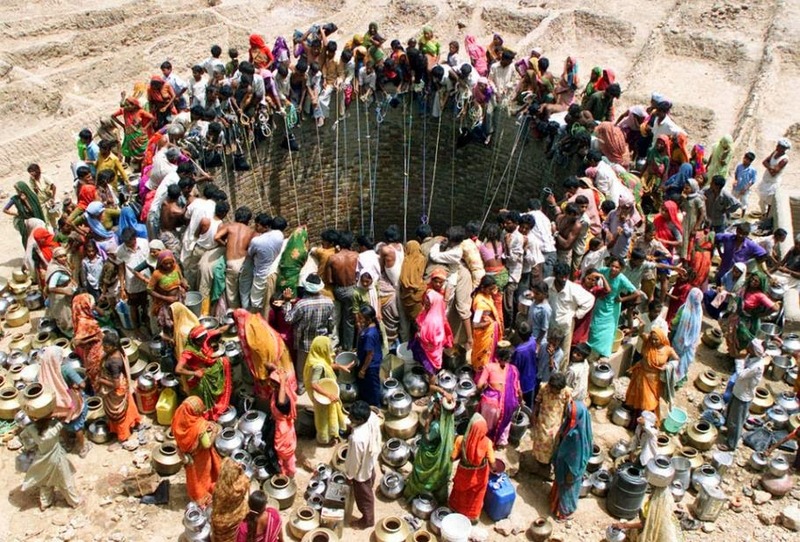 * The 10 facts about water scarcity. * United Nations World Health Organisation website (look at the related links on the page) provides some great information for you to consider. * Water scarcity fact sheet.